Fuchsite is a variety of Muscovite, which is a form of Mica. Psychologically, Fuchsite teaches true self worth, assisting in the elimination of a tendency towards martyrdom or issues of servitude. Fuchsite helps to overcome codependency and aids in a speedy recovery from trauma, both emotionally and physically. Fuchsite increases the energy of other crystals and helps in the transfer of their energy. 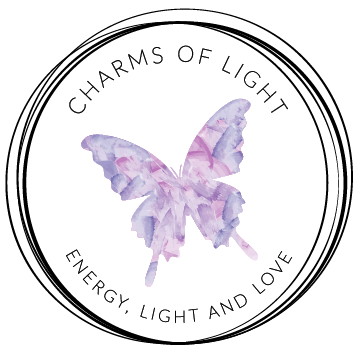 It shifts energy into positive channels, therefore releasing blockages caused by excess energy. Fuchsite stabilises spinal column alignment and increases flexibility in the musculoskeletal system. It treats repetitive strain injury, carpal tunnel syndrome and also aids in balancing the red and white blood cell ratio. Ruby Fuchsite is the name given to Fuchsite when Ruby crystals are found within it. 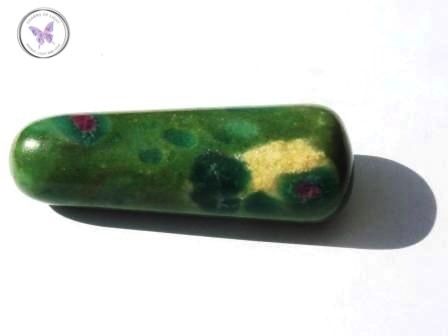 In this case, the healing properties will be a combination of both Ruby and Fuchsite gemstones.